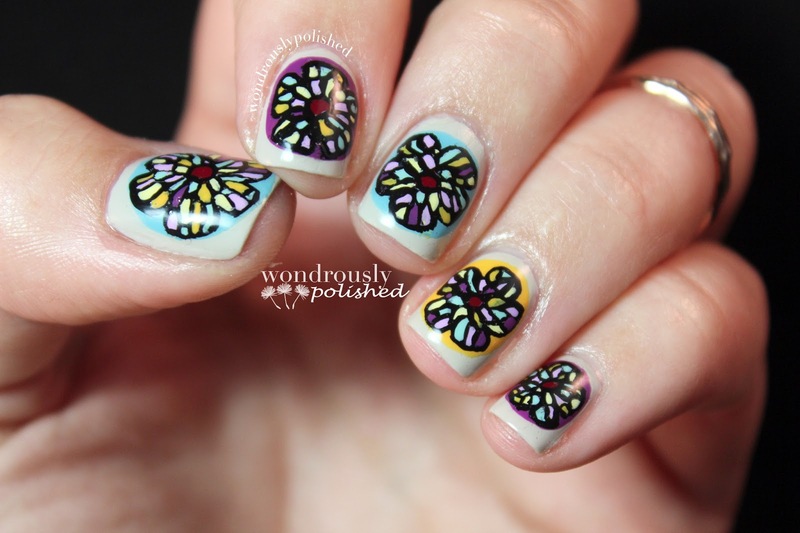 Before we announce the winner of the March Amateur Nail Art Contest, it's time to celebrate the winner of February's Contest with Lindsey of Wondrously Polished. Lindsey's blog is great, and I really do urge you to go and follow her - you won't be disappointed! First off...Wow! Thank you! Oh my gosh!! 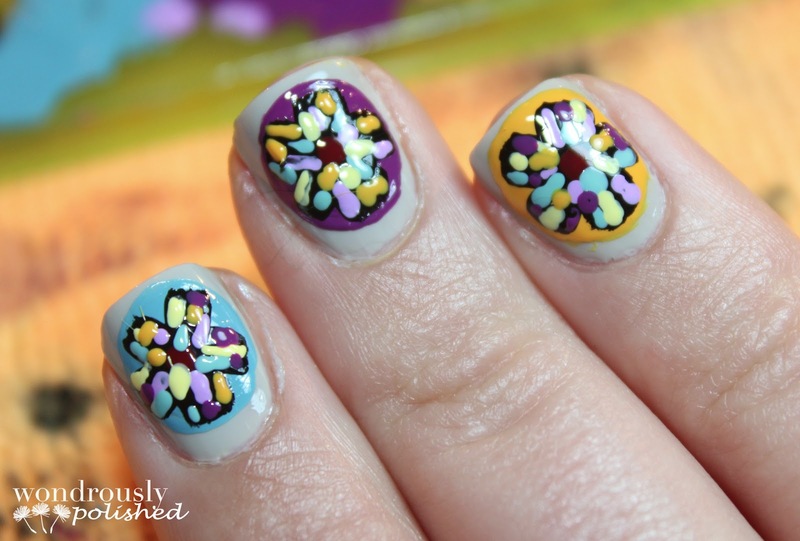 Somehow the stars aligned and I won The Crumpet's February Amateur Nail Art Contest...so that means that you lot are stuck with me for a post! 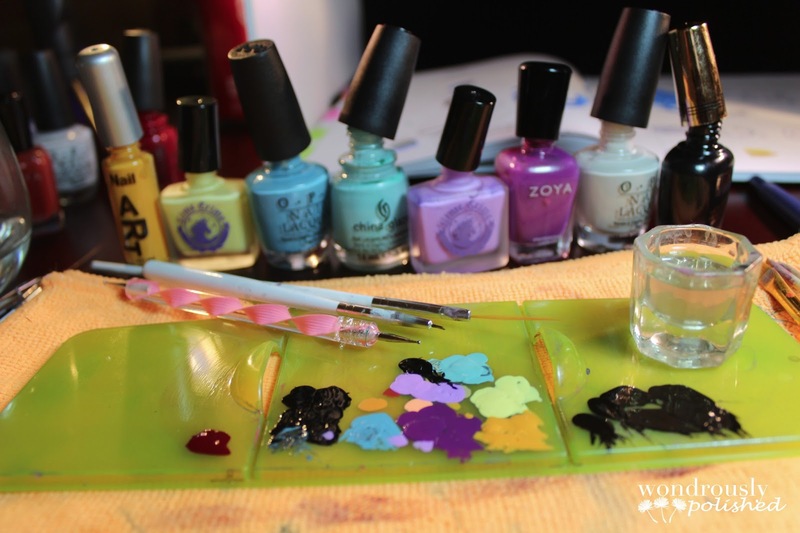 ;) There were some fabulous entries along side mine, so I am especially honored, excited and nervous to get to share some nail art with you all! Not going to lie, I definitely stressed a bit about coming up with something worthy of being posted on The Crumpet. You guys all know how fabulous and creative Debbie is! I decided that since it is Spring here in California, I wanted to do something within that theme. I also wanted to incorporate some of my favorite aspects of nail art -- different techniques and free hand painting are my favorites. 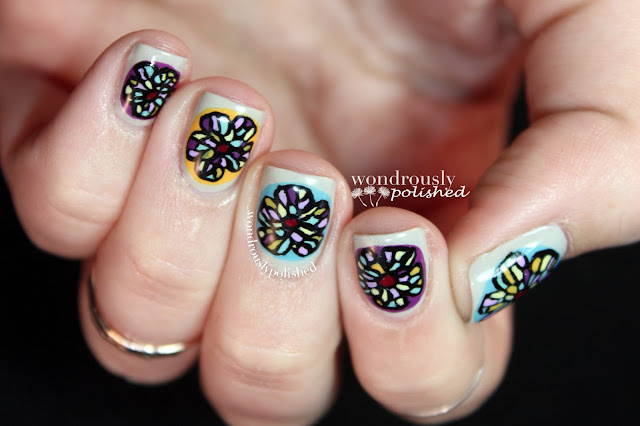 After some hard thinking, I ended up creating a stained glass insprired, simple floral look. I did these free hand over the course of several hours and I'm really loving how they came out. Hope you all like them as well! 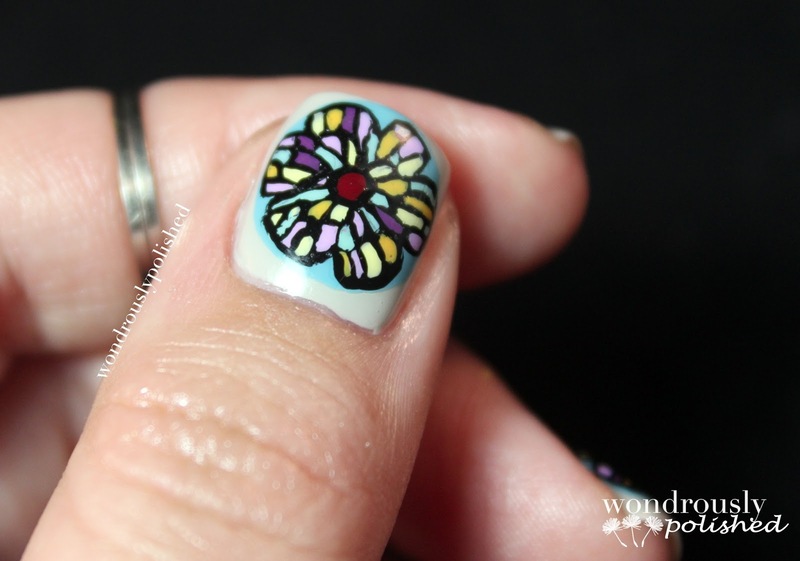 While this is a bit time consuming, it's pretty simple to create the stained glass aspect. Below you can see how I randomly added color to my flower area. Once done, I went back in with my striping brush and some black polish to create the line work between the colors. 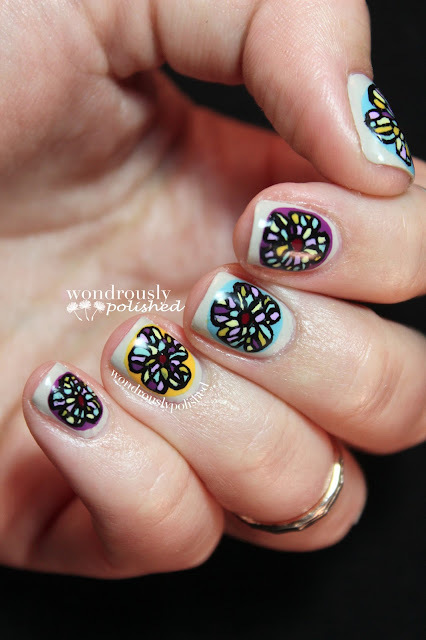 You can also use white in lieu of the black to create a mosaic look instead. I ended up using 8 different polishes to create this, with OPI's Skull and Glossbones and the base color. Let me know if you're curious about any of the colors in particular :) Here is the chaos that is my workspace. Once again, thank you so very much to Debbie for giving me the opportunity to share some of my work with you all and thank you to all of you who voted for my mani! I had a fabulous time creating this and participating in the contest. I hope you enjoyed reading!